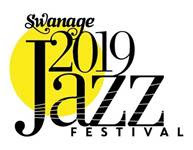 "Swanage Jazz Festival is back on track and will run again in July 2019. Following doubts about its future, a new nine-strong group of Swanage residents has stepped in to form a new organising committee, following an initiative led by Swanage Town Council. "Much loved by musicians and audiences, Swanage Jazz Festival was run by a local organising committee for 28 years before they decided to close the Festival in 2017 owing to advancing age and ill health. The esteemed jazz guitarist Nigel Price stepped in to stage a highly praised Festival in 2018 but he decided that owing to professional commitments he could not continue to run the event in 2019 and beyond. "An initiative led by the Mayor of Swanage, Councillor Mike Bonfield has resulted in a group of local residents stepping forward to pick up the reins. They are working closely with Nigel Price to effect a smooth handover. "The 2019 Festival will take place on the weekend of 13/14 July. It is likely to be a rather smaller event than in previous years, but it is hoped that the Festival will return to full strength in 2020 and beyond. The new Festival management group is being advised and supported by Paul Kelly who has been involved in jazz promotion since the mid-1970s. Surely some bands have been booked by now?